Japanese Proptech and Contech are continuing to generate increasing excitement. 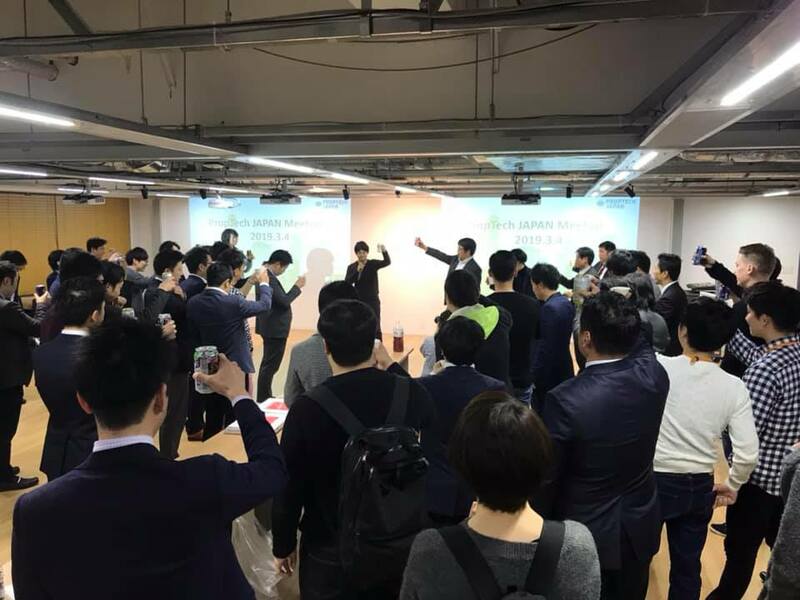 Japan’s first proptech community since 2017, Proptech Japan has reached over 500 members last month, and its monthly meetup in Tokyo gathers around 150 people on average. Along with this growing community, we have received a number of inquiries about the industries from both home and overseas. Therefore, Proptech Japan has made the below chaos map of those industries. 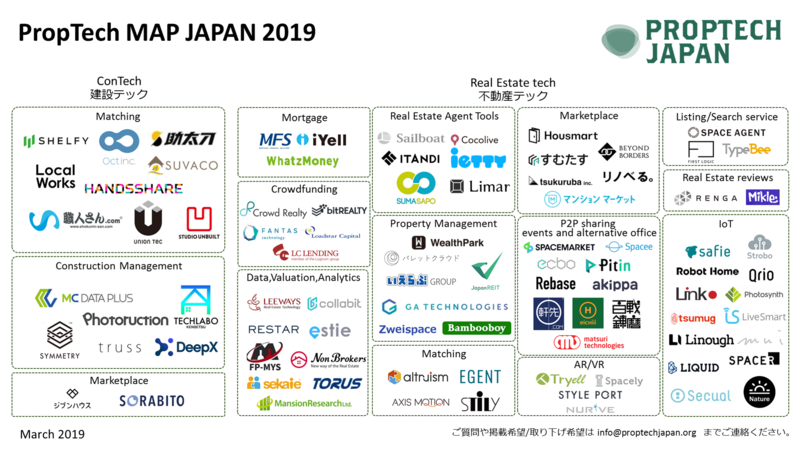 As of March, 2019, there are 73 proptech-related startups and 17 companies in the Contech industry in Japan. There are many startup players in the IoT field, especially those focusing on smart locks, and their products are even starting to be picked up by consumers. In recent years, the government is promoting a "reform of working practices" throughout the country, in order to change poor working environments (for instance, the Japanese are known for working long hours). In order to improve office functions and working environments, the introduction remote work is finally starting to happen, with the number of shared offices and co-working space increasing. Along with that, smart locks have been used in many such flexible offices. Additionally, many Mortgage and Real Estate Crowdfunding startups have appeared. The Japanese, in general, strongly gravitate towards having their own houses instead of renting out a house or apartment, often taking out a lot of loans to purchase single-family houses and condominiums. Thus, startups offering refinancing services for mortgages and services to support mortgage procedures for financial institutions have started to appear. Another social issue relevant to the industry are the increasing number of vacant houses in rural areas due to the falling birth rate and an increasingly aging population. Real estate crowdfunding platforms are one example of ways people are raising funds to renovate those vacant homes. Next time, we will further discuss the Japanese startup companies on the map and delve into further details by category.